After months of preparation, discussion and debate, President Michael D Higgins’ much-vaunted Being Young And Irish seminar season reached its culmination at Áras An Uachtaráin on Saturday 17thNovember. And what a day it was. Scores of young people from all over the country came to the Hyde Room to issue the “Take Charge of Change” Declaration, the piece de résistance of a lengthy consultation that took in the views of nearly a thousand young people at home and abroad. A building as grand as the Áras is pretty good impetus for work on that scale, but moreso is a speech from the President himself, who in his barnstorming opening remarks said that “There is no part of our lives that should not be subject to critical review”. In the ensuing workshop discussions, the young people in attendance went on to very much prove him right. During the seminar we were presented with analysis from DIT as to what was considered the most important topics throughout the whole consultation, with top of the list perhaps unsurprisingly employment, enterprise and social security, closely followed by political reform, education and equality and involving young people. But it was when young people started voting on what to include in their Declaration vision and what needed to make it a reality was far from predictable. In a gripping session of instant voting, each table would propose various things to include (or exclude) from the final declaration, and as this was the last chance saloon to include what they thought though important for the country, the young people put their cases passionately. Some of the choices, such as a proposal to add the word “empowered” in a section pertaining to caring for vulnerable people and changing “bilingual” to multilingual” were passed easily, but others were not such slam dunks. A proposal, for example, to mention civil liberties in the declaration narrowly failed by 51% to 49%. And while a resolution to mention political reform sailed through, one that mentioned transparency and accountability was defeated by six points. From there, the debate intensified. When a vote was taken to arrange the priorities on how to achieve their vision, the young people in the room’s top five was, to considerable surprise, headed by an emphatic commitment to the Irish language, with the social development of the language placing third. A call to legislate for the hot button X-Case placed second, with the top five rounded up by a strong statement for marriage and adoption equality and absentee ballots for Irish citizens abroad. More on that one, no doubt, in future columns. But it was the noticeable lack of any reference to health, especially mental health, in the Top 5 that caused one of the biggest stirs of the day. Some claimed if those were the priorities, he’d probably be emigrating. But it was Aisling Concannon, Officer for Students with Disabilities at Trinity College, who became the de facto spokesperson of the case for mental health as a priority. She became the focal point of the discussion after stating on Twitter she was “livid that priorities were all wrong”, and that given the importance of the topic at earlier discussions (and in general), it was very disappointing that it didn’t feature. While Aisling maintains her crusade for more attention to mental health (and a more holistic approach to health in general) in other ways, once the voting was done the President came back for the final declaration, and was clearly delighted with the outcome. “If anyone is still affected by the myth”, he said, “that young people are disengaged, here is your answer”, and insisted that the consultation not become “a lost conversation, it must find a real, rapid, positive response”. 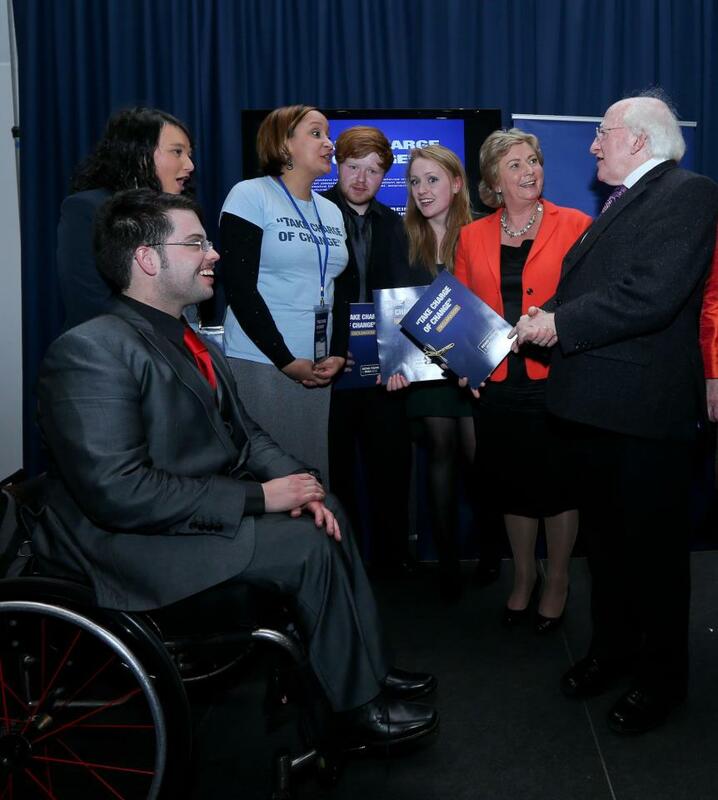 One hope for such a response is the Minister for Children Frances Fitzgerald, who also spoke at the Declaration. Her speech, apparently pre-prepared, was slightly cautious and bloodless but that did not dim the positivity and determination of the room, who in their declaration committed themselves to action, to fighting apathy and encouraging participation. In fact, within hours of the Being Young seminar concluding, a legacy project was set up which will meet by the end of the year. In 1916, Padraig Pearse made his Proclamation of the Republic to a handful of bewildered passers-by outside the GPO. In that Proclamation, he put the case for cherishing all the children of the nation equally. 96 years later, a small bit up the road, hundreds of young people of the nation followed that legacy not just by asserting their voice and engaging in debate, but also committing their actions. The seminar may be over, but the work is just beginning.